The Full Moon at 29 degrees Libra on April 19th, 2019, is the second Full Moon in the sign of Libra this year; the first occurring at 0 degrees Libra, on March 20th, synchronized with the potent portal of the Aries Vernal Equinox. This Full Moon on April 19th is going to initiate and revolutionize relationships with the "Power of Self" married to the “Art of Love". The auspicious alignment of the first Libra Full Moon was connected with the rebirth and regeneration of the soul through the Vernal Equinox. The second Full Moon in Libra falls on Good Friday and the Jewish Passover; another connection with archetypal death and rebirth. It also falls on the 19th; the day of the Sun and regeneration. The two Full Moons in Libra this year fall on either side of the April 5th, Aries New Moon; the New Moon that signaled the birth of the Higher Self and the Solar Light into the mind of matter. The Aries New Moon births the Solar Consciousness in our being and the Libra Full Moons receive this consciousness through the mirror of the Other. All of this is pointing to a very important evolution of our relationship of the Self to the Other. The Full Moon is a time to see our projections and how they have manifested in the material world. The most relevant and immediate way for us to understand the inner landscape of our subconscious Shadow is through the person in front of us. We literally become the other in relationship and they become the mirror of our subconscious mind. Nature has set it up so that we cannot exist without the other. In reality, we are them and they are us. This is the true reflection of the One Mind broken up into infinite particles. This is not always the easiest thing to understand when our consciousness is asleep, but the archetypal magic of the Aries and Libra axis is initiating us into the deeper layers of the collective self, by highlighting the first and the last degree of the sign of Libra through the Full Moons, which will open the collective subconscious right up. This is clearly the full spectrum of the transmutation of relationships and our projections of the self onto the other. Until we master this perception we are locked out of Reality and all the gifts that come with knowing the truth. We can project the wound or we can project the risen Spirit, but we cannot serve two masters. Uranus is the planet that brings spontaneous awakening and realizations. It is the planet of revolution and the Higher Mind. On an archetypal level, it is connected to the Mother letter, Aleph; the Life-Breath of Creation, also known as the quintessence of the Holy Spirit. Uranus at 2 degrees Taurus, is conjunct the Sun at 29 degrees Aries, and both are opposite the Full Moon. This brings a deep awakening and sheds even greater light on the shadow aspect of the collective mind, so that we can see more clearly the underlying truth. This is a very powerful conjunction/opposition to have when the Full Moon is happening at the 29th degree of Libra; a degree of great Initiation. The message is that our relationships can either heal us and birth our divinity or they can sink us deeper into our Shadow. The good news is that we have the free will to choose which path to take; but we have to do the work that allows us to see the fruits of our past choices and patterns, so that they can be tasted and transmuted. Only as we are able to claim accountability of what is ours, can we escape what is not ours. This is how we transmute relationships and make them a vehicle for Divine Love and Spirit. Only when we have done this work of the Aries and Libra axis, are we able to embody the healing energies of unconditional love. No longer will we feel threatened by the other, in any form. True Vision, the gift of Aries, is awakened in our mind, and we embody both, the strength and the “Power of Self" with the "Art of Love" of Libra and the sweet surrender that comes with relationships and the divine dance of Creation. Wishing you love, joy and great healing in your revolutionary relationships at this Full Moon in Libra! Join us for the Aries New Moon, Archetypal Magic podcast. We’ll be talking about the archetypal energies for the month of April 2019! The true knowledge of the Self is our sovereignty as the world is waking up to a new reality. Today we’ll look at The Emperor archetype and some of the magical energies that can assist our understanding of this journey and our individual mission on Earth, including the work we are doing in relationships. HAPPY NEW MOON IN ARIES! Join us for the Aries New Moon, Archetypal Magic podcast. We’ll be talking about the archetypal energies for the month of April 2019! The true knowledge of the Self is our sovereignty as the world is waking up to a new reality. Today we’ll look at The Emperor archetype and some of the magical energies that can assist our understanding of this journey and our individual mission on Earth, including the work we are doing in relationships. Join us for a Libra Full Moon/Aries Equinox LIVE stream, on March 20th, 12pm EST, to discuss the powerful healing taking place on Earth at this time. 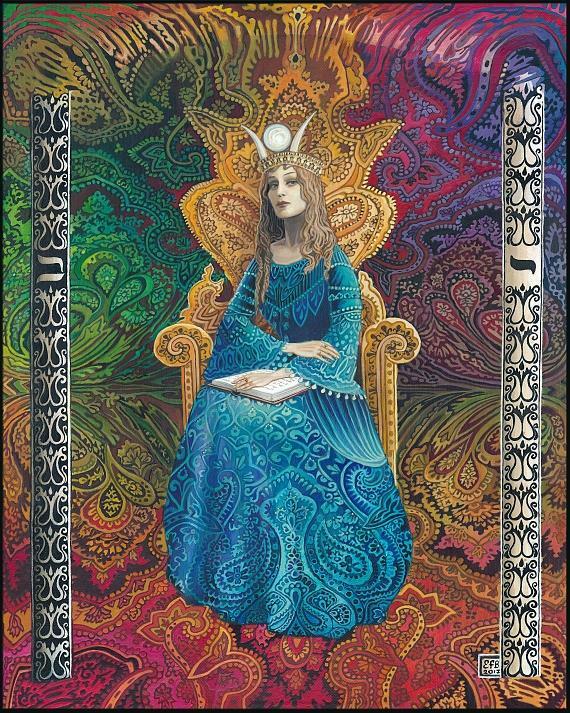 It calls for each one of us to know the balance of the High Priestess within our hearts and to awaken the Middle Pillar of pure Wisdom, Knowledge and Power within. We can do this by connecting to the truth of our inner strength and gaining greater understanding of how we can be in service to all of our relationships through the balanced power of Divine Love! The Pisces New Moon on March 6th is a powerful alignment for healing our subconscious traumas and the patterns that cause our projections and suffering. The Moon and Sun are conjunct Neptune, the ruler of Pisces, at 15 degrees Pisces. All three are sextile to Mars in Taurus and Saturn in Capricorn, making this new moon a very strong connection to earth energy and healing in the physical realms. Neptune is the archetype of reversal. It holds the capacity to connect us with the source of Divine Love deep within the subconscious waters of life. Neptune is also the greatest well of creativity and imagination for calling forth messages and poetic inspiration from our Divine Soul. 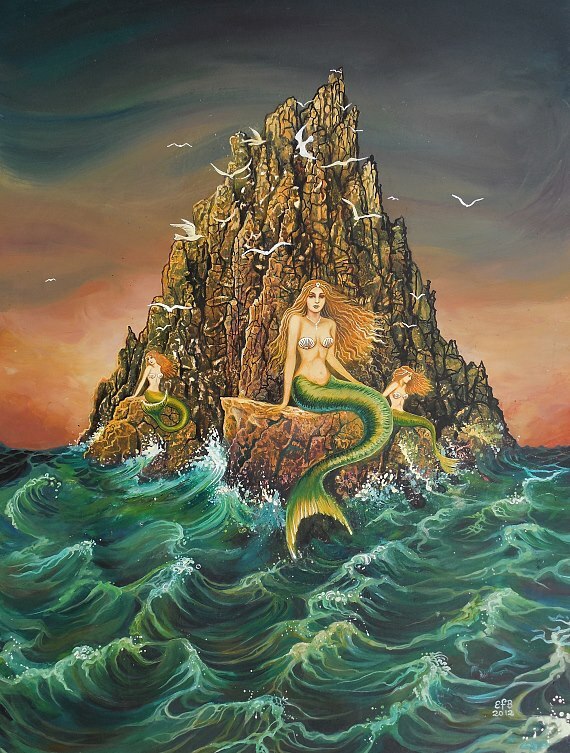 In our world, we experience Neptune energies quite often as deception and betrayal. But that is only because we are working with the inverse reality of consciousness. In truth, we have buried below our conscious mind the key to liberation and creative freedom, if we are able to transmute our own Body of Pain and use the trapped energy to merge with the totality of our Spirit. To do this, we must surrender our Ego consciousness and enter into a state of allowing and Sacred Union with the inner Self. By being in the field of pure awareness, we activate the solar potencies within the subconscious mind and begin to transmute old patterns, turning them into released power for creativity and love. This is how we reverse the outer paradigm. We do this great and sacred work by tending to our own waters within. Mars is the fire of the Shakti-Force and Saturn is the moulder of form. Both are in earth signs. This gives us an incredible opportunity to water the earth and our material reality with the divine waters of the unified field of consciousness. Saturn is also conjunct Pluto in Capricorn which gives us the needed regenerative powers of rebirth. Mercury stationing retrograde on March 5th, at 29 degrees of Pisces, the critical degree of the sign that was just grazed by Chiron, the Wounded Healer, is going to help us to direct our power and focus inward to do this powerful healing work in the sign of the subconscious mind. Uranus enters the sign of Taurus on the same day as the Pisces New Moon for a seven year transit of this house of Venus. 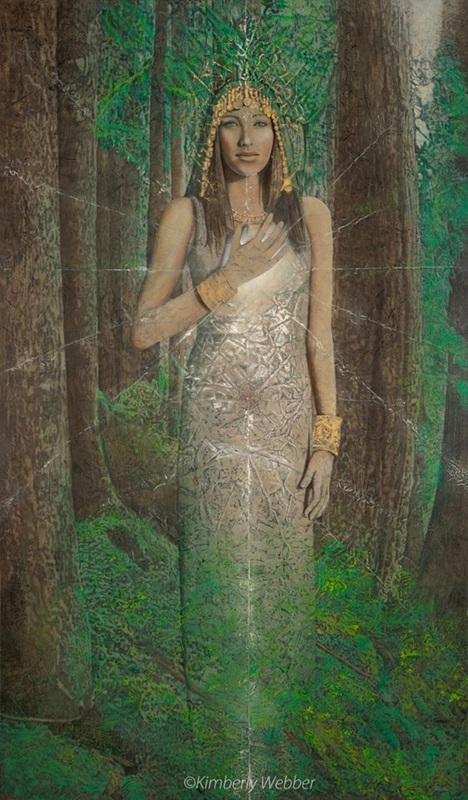 We are in a period of activation of Mother Earth and the Venusian qualities of the heart and the creative imagination. The feminine principle is beginning to call forth a new and more balanced reality on the planet, which is the mirror of the human soul. The tides of consciousness are calling in a waxing cycle of healing. It's up to us to ride the waves and work with the magical elementals of the soul. Wishing you blessings at the Pisces New Moon! The Virgo Full Super Moon highlights our psycho-magnetic state of mind power; our Presence. Our Presence determines how we access and direct the power of Shakti in our lives. It will always determine the fruits of our efforts and how they taste to us daily as well as how we respond or react via our words and actions. Most of humanity is under a spell, surrendering their sovereignty to outer influences. The one who knows how to harness and neutralize the forces of mind will become a vehicle of the awakened Shakti-force, also known as the Divine Mother Principle. Join our live stream: Sunday, February 17, 12pm EST or watch the replay below! EMAIL SUBSCRIBERS CLICK HERE TO WATCH VIDEO. There is a mass awakening happening in humanity. The Age of Aquarius is upon us. We are discovering the power of the group AND the individual gifts that we all have buried within us. In this Age, we will know that we have access to our power via our own Inner Temple of Consciousness. We are destined to experience the Revelation of the gnosis within. There is no longer a third party required for us to know our own Divinity. As we express that Divinity, we awaken it in others through the power of the heart and Love. Join us for the replay of the New Moon in Aquarius live stream! The last eclipse in Leo leaves us with a powerful energy for calling forth the creativity of the Emotional Body to heal trauma and regenerate the heart of the human race. With the North Node now in the sign of Cancer, we are given access to the depths of power that make up the subconscious region of our being. We are being shown the true home of our Presence and reminded of the unconditional love of the inner Divine Mother to nurture, love and heal her creation. The Ego is in a dream state. Capricorn offers us the wisdom to awaken from the Dream and manifest our reality consciously. January 2019 starts of with a powerful Solar Eclipse to set the stage for the coming two years. Join us to discuss the energy of INITIATION present in the sign of Capricorn - with Saturn and Pluto calling forth the last judgment and the awakening of a new perception on Earth. FULL MOON IN CANCER, DECEMBER 22, 2018 - SOLSTICE ACTIVATION! The Cancer Full Moon falls at 0 degrees of Cancer, just after we enter the Solstice Activation point on December 21st. This Full Moon is leading us into a new Archetype for 2019! We have big things on the horizon in 2019 & 2020. Join us for a live stream to discuss the coming shifts on Earth and the energies present 6 years after the 2012 December Solstice portal.